Boy Scouts prove themselves in an environment that challenges their courage and tests their nerve. After they've been given the proper guidance from those with experience and know-how, they take their own lead - going places they've never gone, seeing things they've never seen, and diving into the rugged world of outdoor adventure; relying on teamwork and character to accomplish what everyone else thinks is impossible.Sound fun? 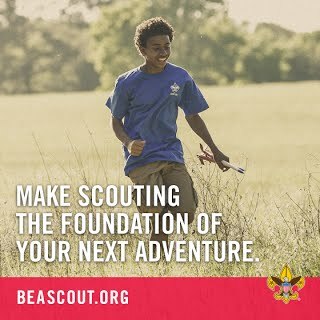 If you're a boy age 11 to 18 years old, or at least 10 and have completed the fifth grade, or have earned the Cub Scout Arrow of Light Award, the time for a real adventure is now. Younger boys can Join Cub Scouts. In Boy Scouts, older Scouts plan the meetings and outings for the troop. Volunteer trained adult leaders support the youth leaders. The Scouts work through rank requirements in the Boy Scout hand book which teaches them life skills – first aid, community service, citizenship, character and more. The ranks are Scout, Tenderfoot, Second Class, First Class, Star, Life and Eagle. Read the Boy Scout Adventures booklet for more information. Bring A Friend To Our Next Troop 12 Open House! Or, stop by any Thursday evening @ Washington School between 7pm - 8:30pm. Please contact us in advance, if possible.